But once I got behind the wheel of the newly refreshed Flex, I realized that it maybe wasn’t getting the attention that it deserved. You may have noticed that I like old cars. I like driving them. I like looking at them. I like the view behind the wheel. And the Flex had a real retro vibe about it. From the outside, it looks like the modern incarnation of the International Travelall. Just look at those flat sides, and the way the hood curves down. But the best view is on the inside. If I try to compare it to something I have some experience with, I’d say the view out over the hood reminds me of a ’73-’87 Chevy truck. It just needs a big, square hood ornament out there to round out the effect. I liked the overall seating position and feel of this long wagon much better than the Explorer or the Edge, which are other possible choices from Ford's extensive crossover lineup. For some, the interior design may be a tad bit antiquated. The instrument panel is definitely more like the former Taurus/Five Hundred than the modern environment in the current Taurus. You’re not cocooned by the console, and the plastic dash is long, wide, and expansive. But isn’t more space a good thing if you’re taking a long trip? I think so, but obviously not everyone agrees. 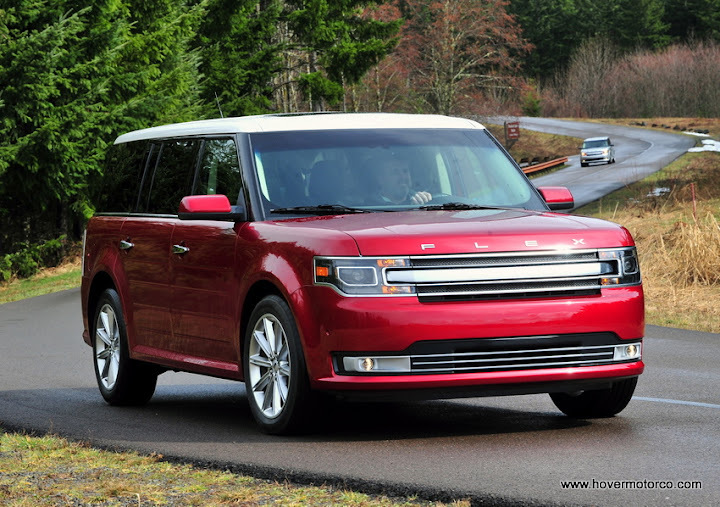 The Flex is built in relatively limited numbers, especially compared to the Explorer and Edge. But since it is built on the same Oakville, Ontario production line as the Edge and Lincoln MKX, it doesn’t cost Ford a bunch of money to keep it in the lineup. So why isn’t the Flex more popular? Clearly, the styling is a major issue. Families and utility wagon owners rarely want to stand out, and with those ribbed slab sides and long, flat roof, the Flex is not like anything else. When I go to my son’s school there is a sea of Honda minivans and Toyota Highlanders. 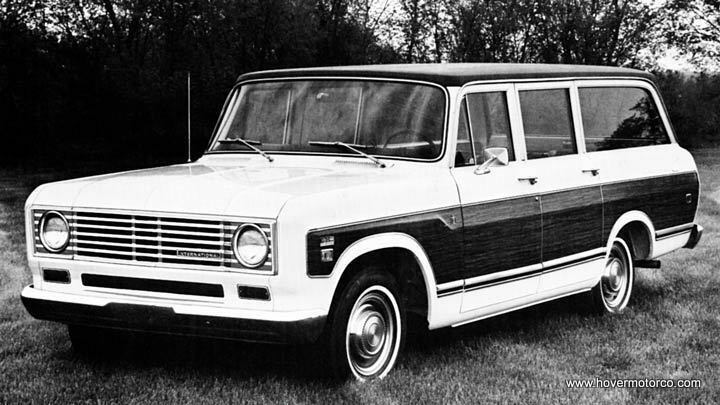 Lord, have mercy on someone who muddies the waters with some outcast, retro Ford wagon. If they would just give it a chance, though, they might find that the Flex is decent, if not fun to drive. The base engine is a 285-hp 3.5-liter V6. Now that plant doesn’t exactly make the Flex a screamer, but it’s not terrible. What you want to do is pony-up the extra $2,670 (available on the Limited trim level) and get the 365-hp 3.5-liter V6 with EcoBoost. By the way, EcoBoost means “twin-turbo” on this model, and it makes all the difference. If you kind of miss the way things used to be, the Flex has that hint of nostalgia, but it is much better than anything they made 30-40 years ago. It drives better. It rides better. It gets much better gas mileage (25-mpg highway on a front-wheel-drive version, which isn’t terrible for such a large, blunt-nosed vehicle). 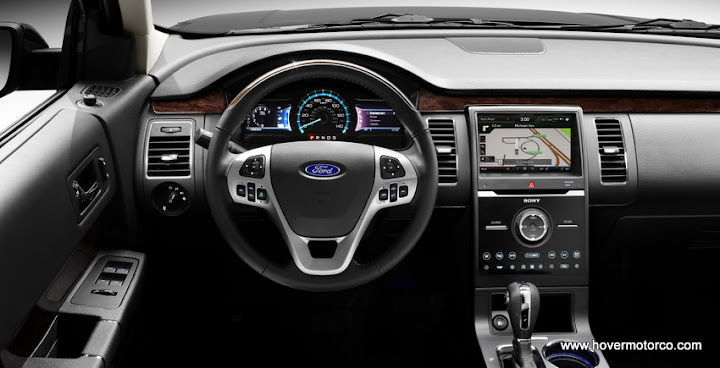 Plus it is full of all kinds of fancy gadgets and geegaws , like the updated Ford MyTouch screen. And the updated grill and rear panel are different enough that people can see that you’re driving the very latest version. 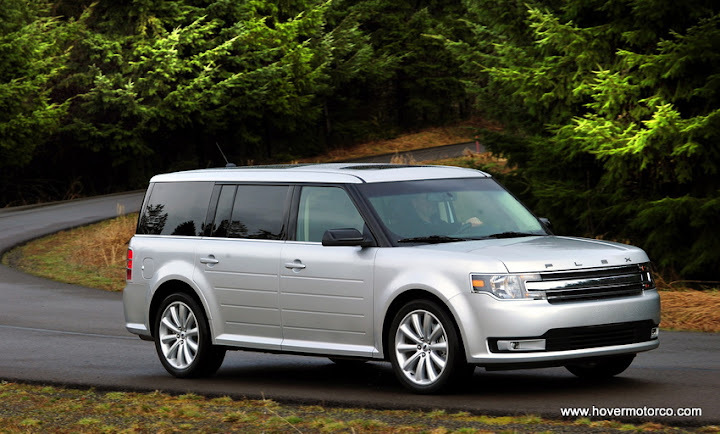 Personally, out of all of Ford’s crossovers, wagons, and SUV’s, I like the Flex the most. If people could just get past the styling—no … if people could just embrace the styling—they may just be as surprised as I was. The slideshow below contains pictures that I took during the 2013 Ford Flex ride and drive in San Diego, a smattering of shots that I took at the Detroit and Kansas City Auto Shows, and a few beauty shots from Ford Media (those are the ones that are actually in focus). Check ‘em out. A very under rated vehicle, that doesn't pretend to be something other than a cool way to haul stuff. Agree with Chuck P. The one person I know that has one loves it, and i think it's kinda nifty too. I hadn't really thought about the Flex before. Looks interesting in this writeup. Thanks!